Do you know a lot about Second-Level Domains ? We think we do. 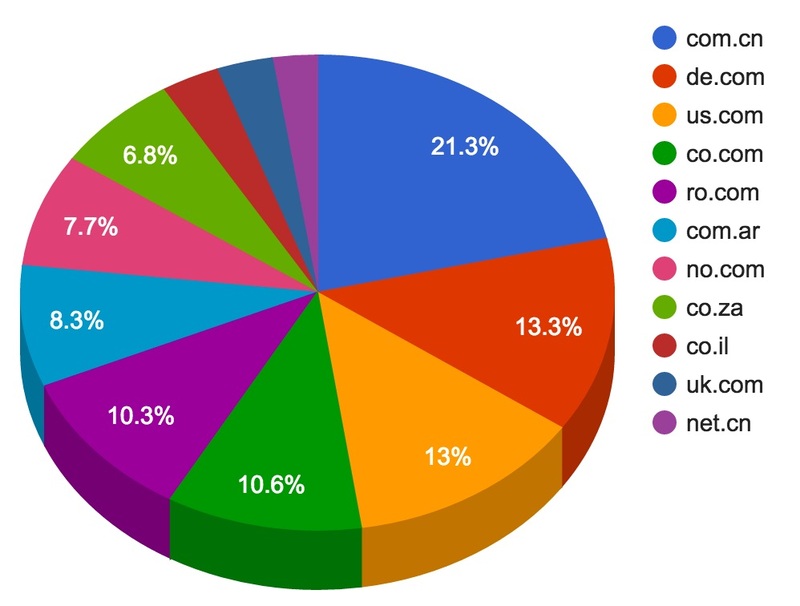 Second-level domains(ccSLD) are ones under which Internet users can (or historically could) directly register names. Some examples of such second-level suffixes are .com.ru, .co.uk and .ma.us. The most well-known public suffix list was initiated by Mozilla and maintained by community: https://publicsuffix.org. A second-level domain (SLD) is the portion of the domain name that is located immediately to the left of the dot and domain name extension. Example 1: The SLD in coolexample.com is coolexample. Example 2: The SLD in coolexample.co.uk is still coolexample. You define the SLD when you register a domain name. A country code second-level domain (ccSLD) is a domain name class that many country code top-level domain (ccTLD) registries implement. The ccSLD portion of the domain name is located between the ccTLD and the SLD. Example: The ccSLD in coolexample.co.uk is .co. Same time we went over the obtained list to get some zones usage statistics (number of domains registered). During our research, we also find out that there is the difference between second-level zones. Most of them are some kind of “official” ones, and they handled by official registries, with whois info for each domain, and so on. But, some of them doesn’t provide any whois information for registered domains, and we called them “unofficial second-level domain zones.” We also checked if all of them a listed in Mozilla’s public suffix list, and find out that 62 of them hadn’t been listed at https://publicsuffix.org. So we’ve submitted amendments to public suffix for them. 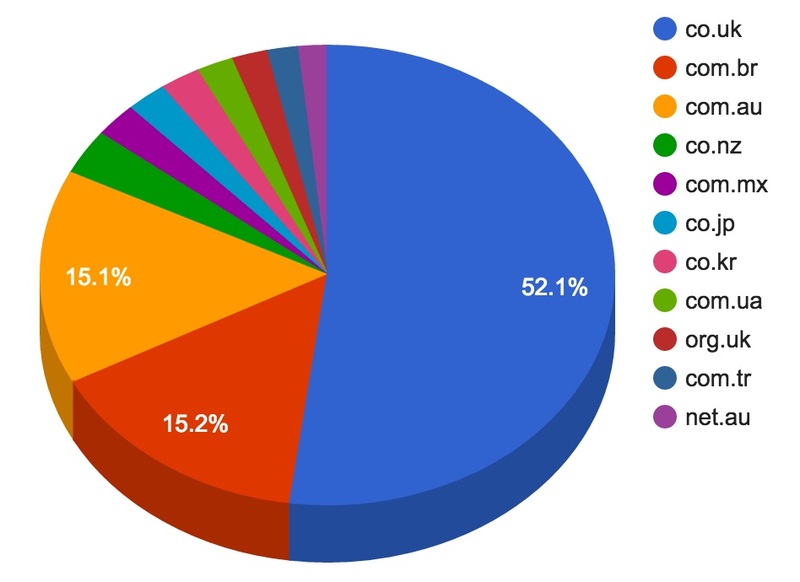 According to the number of registered domains, it looks like second-level domain suffixes are widely used in some ccTLDs like .uk, .br, .cn for example, and at the end of the day, 20M of domains, it’s nearly 1/10 of the whole internet. So, is you researching the internet or domaining, you should have in mind that suffixes as well.